After making a flying start to the campaign, Bournemouth have been on a slide and have lost eight from their last 11 games in all competitions. Thanks to their good start they still sit in the relative comfort of 12th, just three points behind seventh placed Watford, but Eddie Howe will be keen to see his men arrest this worrying dip. Chelsea, while still fourth in the table, have also had by their standards a mixed campaign, and Maurizio Sarri has received a fair amount of flak for the sterile type of football he has introduced, with some arguing he’s not playing his best players in their best positions. The Blues have however been boosted in the last week, with important wins in both the Carabao Cup – where they will now meet Man City in the final – and the FA Cup, where they progressed to the fifth round after victory over Sheffield Wednesday. They also finally secured the signature of Argentinian striker ​Gonzalo Higuain, so the Stamford Bridge ship appears to have been steadied. They will be hopeful of maintaining this momentum at the Vitality Stadium. Bournemouth’s plight has not been helped by a string of injuries, with Simon Francis and Lewis Cook both ruled out for the season with cruciate ligament injuries, while £19m signing from Liverpool, Dominic Solanke is still out with a hamstring issue. On the plus side for Howe, loan-signing Nathaniel Clyne – also from Liverpool – has provided excellent cover for Francis and top scorer Callum Wilson is back fit again after his own injury problems. Get the best odds for Chelsea v Bournemouth and our other featured games with our selected bookmakers below. The Blues, meanwhile, have no significant injury problems and after taking his bow in the FA Cup, Higuain looks set to make his ​Premier League debut. Sarri’s only potential problem comes in the form of 18-year-old Callum Hudson-Odoi, who has reportedly handed in a transfer request to try and force through a move to ​Bayern Munich. Eden Hazard is expected to be restored to the starting line-up – after being rested against Sheffield Wednesday – and will offer another headache for Eddie Howe. In terms of head-to-heads, the two sides have played just 14 times, with the Cherries winning just three times and Chelsea winning the other 11, including twice already this season (in the Premier League and the Carabao Cup). Bournemouth, while having fallen away horribly after a fine start, will look to last week’s 2-0 win over a useful West Ham side as a positive sign, and will definitely need more of the same if they are to contain what is likely to be a buoyant Chelsea side. Unsurprisingly, the bookies all have Chelsea as odds-on to win this one – even at the Vitality which is something of a haven for Bournemouth – and while we are tempted by the 1-1, given the Cherries ability to conjure up results against the big boys at home, we think the Blues’ extra quality will be sufficient to give them the edge. Hazard in full flight is almost impossible to nullify and he’ll be fresh after missing the weekend’s game, with Higuain desperate to get off the mark as soon as possible. Following Man City’s surprise defeat at Newcastle, Jurgen Klopp’s men will be desperate to make capital and extend their lead at the top of the Premier League. A win over the Foxes would open up a seven-point gap between them and City, leaving them in a very strong position with just 14 games to go. 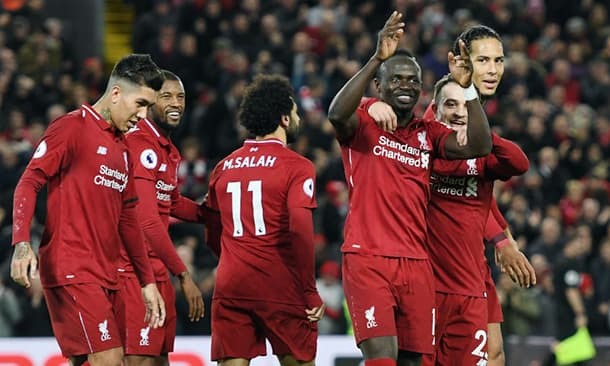 Since their own defeat at the Etihad, which some thought could induce a wobble from the Reds, Liverpool have won twice – away at Brighton and at home to Palace – and even with a few injury worries, still look imperious. The Palace game was a classic example of them not being at their best but still finding a way to win – a trait that served the great Liverpool sides of the 1970s and 1980s so well. In terms of the Reds’ injury concerns, Joe Gomez is still some way off a comeback after suffering a setback in his recovery from his broken leg, but the good news for Klopp is that Dejan Lovren, Gini Wijnaldum, Fabinho and Trent Alexander-Arnold are all getting close to full fitness and could be in contention. James Milner will however miss the game through suspension. For the Foxes, Harry Maguire is available, despite having been injured in their 4-3 defeat at Wolves last time out, but Daniel Amartey remains unavailable and won’t be back until March as he recovers from his broken leg. It’s hard to make a case for anything other than a Leicester win, and even some fully firing Foxes will struggle to live with the rampant Reds, but Liverpool’s changes in defence – due to the injuries – will offer Jamie Vardy some incentive to get amongst them. 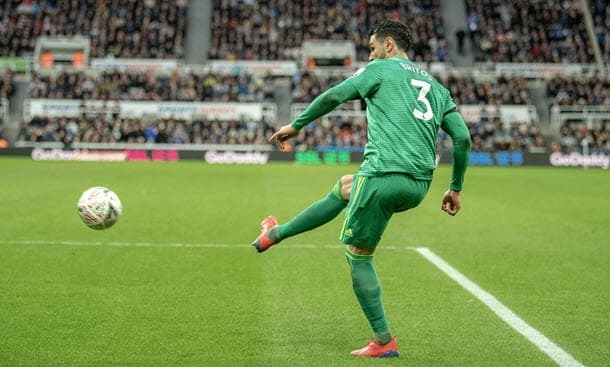 We can see the ex-England man grabbing himself a goal 21/2 11.50 +1050 10.50 10.50 -0.10 with 888sport, but it not being enough as Liverpool cruise to a fairly comfortable win. We’re tempted by the 2-1 8/1 9.00 +800 8.00 8.00 -0.13 , and it’s certainly worth considering, but we’re being bold and going 3-1 12/1 13.00 +1200 12.00 12.00 -0.08 with Bet365. It’s been an awful week for Tottenham. While having to fend without Harry Kane and Dele Alli – both injured – and Son Heung-min, who has been away with South Korea on Asian Cup duty, they have seen their dreams of a Carabao Cup final end at the hands of Chelsea and then their FA Cup hopes crushed in the wind and rain of Selhurst park. The relative threadbare nature of Mauricio Pochettino’s squad has been laid bare and while others in the top six are able to cope with injuries to big names, Tottenham, under Daniel Levy’s chairmanship, are unwilling (or unable) to stock their squad with quality, and instead rely on talented youngsters who appear unready for regular first-team action. The cracks are showing. So, Watford who themselves are having a fine season and who are in seventh place in the Premier League, will be positively salivating at this trip to Wembley, especially after having beaten Spurs at Vicarage Road earlier in the season. Ominously for Tottenham, the Hornets are also on a run of one defeat in ten.